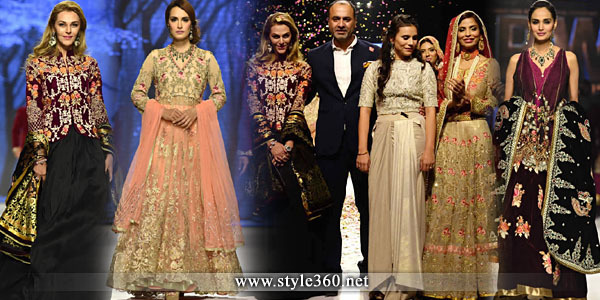 Deepak Perwani, one of the talented names in Pakistan’s fashion industry, he is the spearheading fashion designer and hes start operating his career at the age of 20 and got extraordinary feedback from their customers and people. 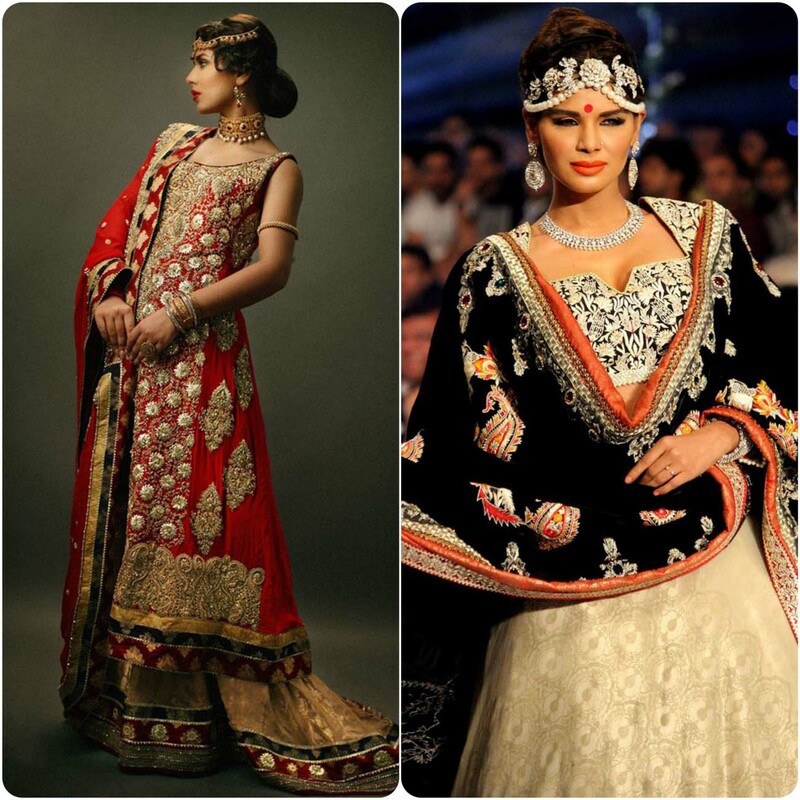 Then he makes his own fashion house which has Extravagance pretty label and Mireille Couture as Deepak Perwani’s creations. 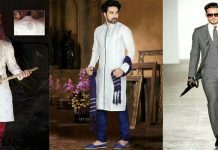 His version includes formal or party wear, and wedding dresses for both bride and groom.Due to its extraordinary creation and designs in each version, he won the award of thebest designers at Lux Style Award 2011. 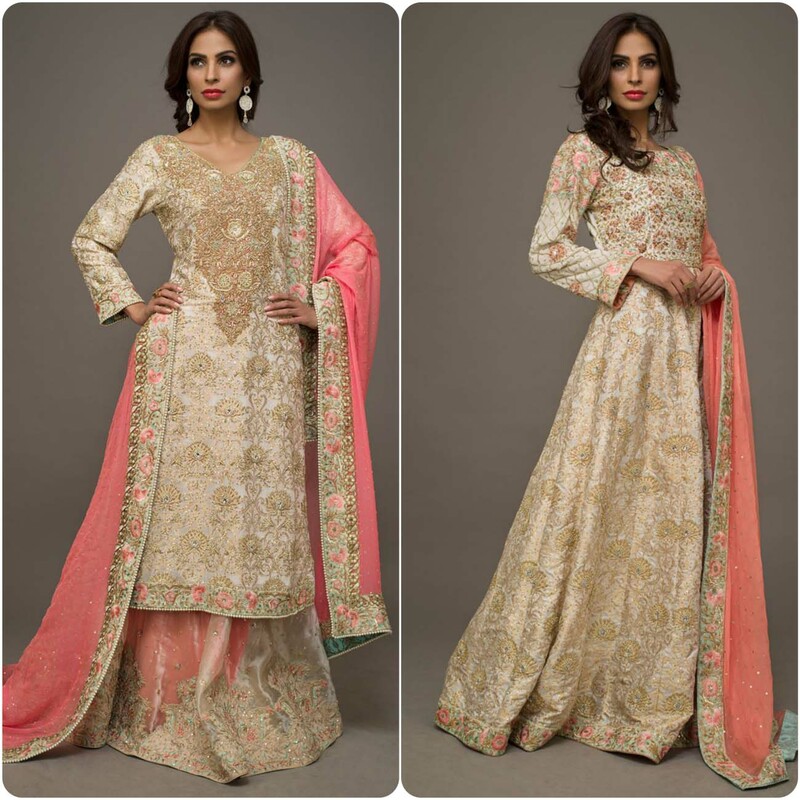 In this article we are going to share Deepak perwani WeedingDresses Collection Fo Women 2016-2017. 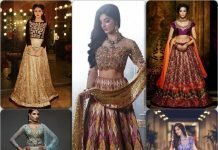 In his latest collection 2016 he has designed beautiful lehengas, shararas, frocks, floor length gown, jacket style, gown lehenga, lehenga choli design, multi colored facny, long shirts, mid & full lengthshirts with chori dar pajamas maxis for fresh brides, ghararas, embroidered sharara and jumpsuits for a modern look. 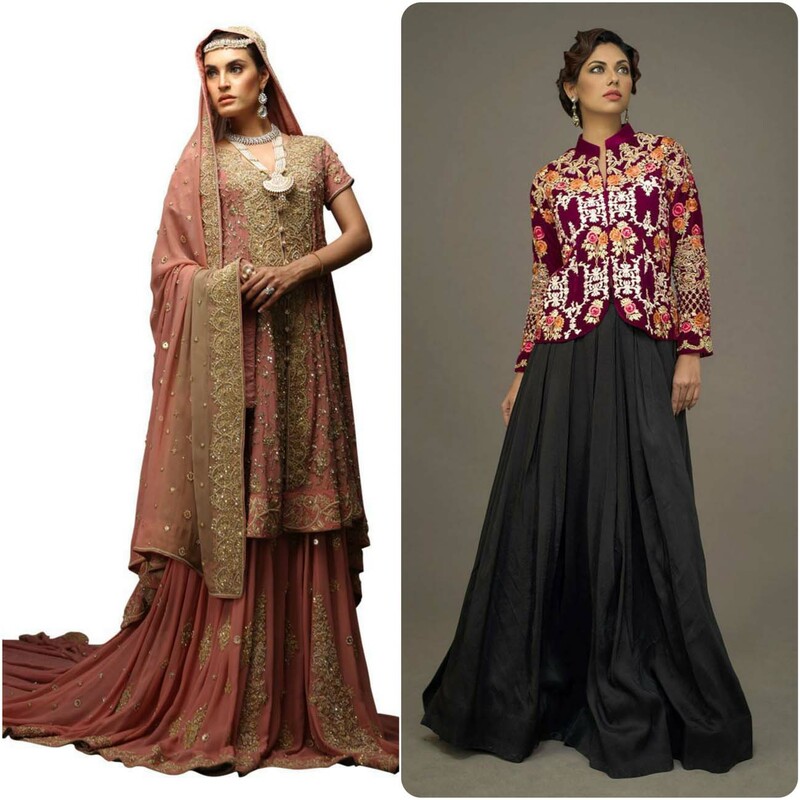 Now he started designing women clothing as well and is collections are showcased in Dubai Fashion shows,Lux Style Awars and Zargali Premier. 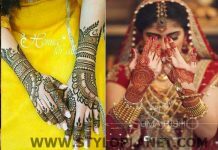 He is a member of the Hindu Sindi community that’s why he keep taste in mind while designing all versions and become famous with growing market and becomes one of leading brands. 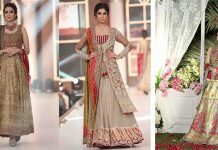 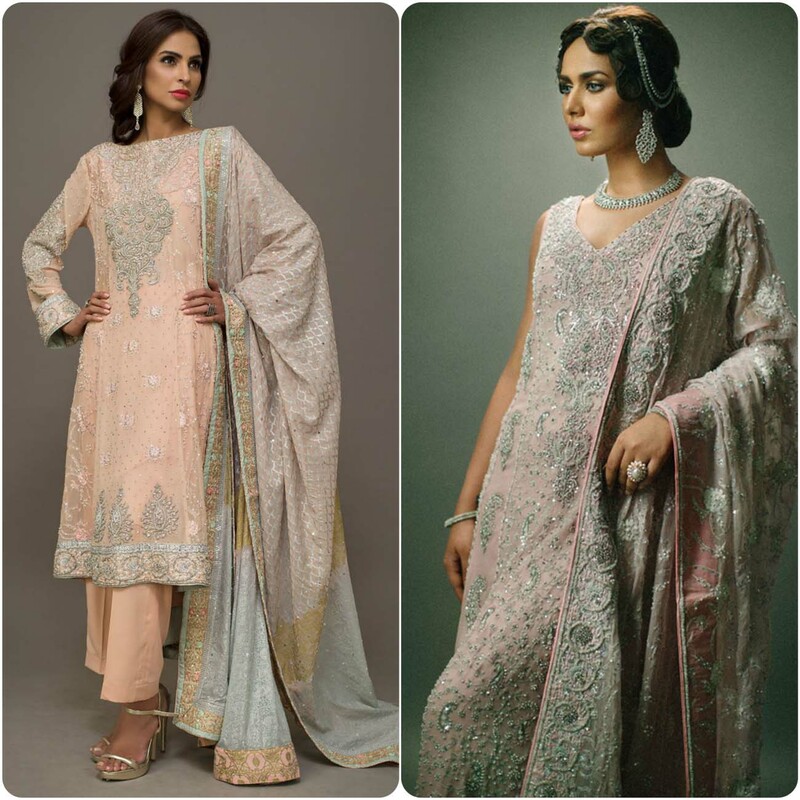 Recently Deepak perwani has presented its latest collection for wedding brides 2016 for men and women, which is well designed and appreciated by every women. 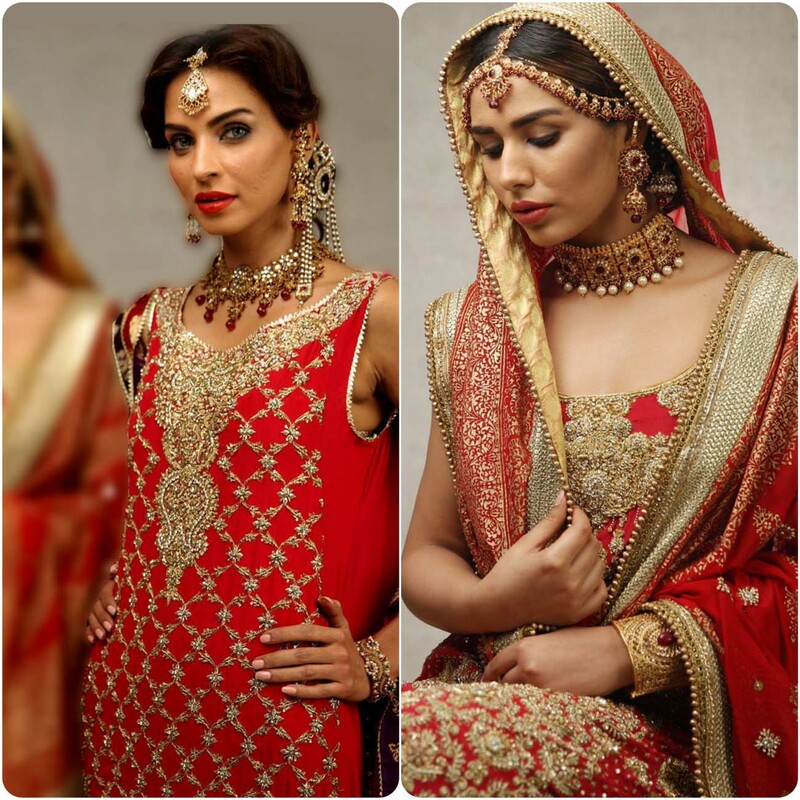 The series contains astonishing breathtaking costumes for Modern brides for their big day. 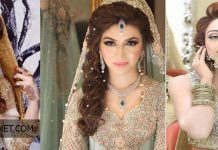 He is always considered as the best and cool designer in Pakistan fashion industry, as his art and talent always depicts royalties attitude and behavior. 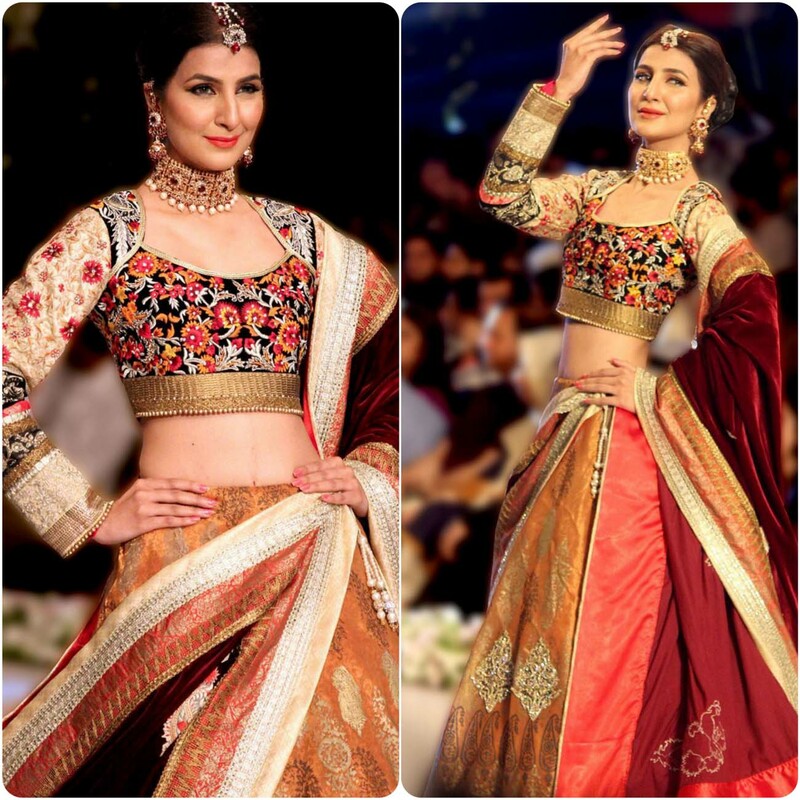 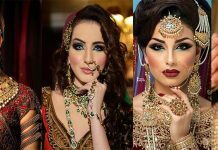 PBCW is one of the best occurrences which is held twice in a year at Karachi and Lahore and most well known brands participate in this to become the part of top one’s. 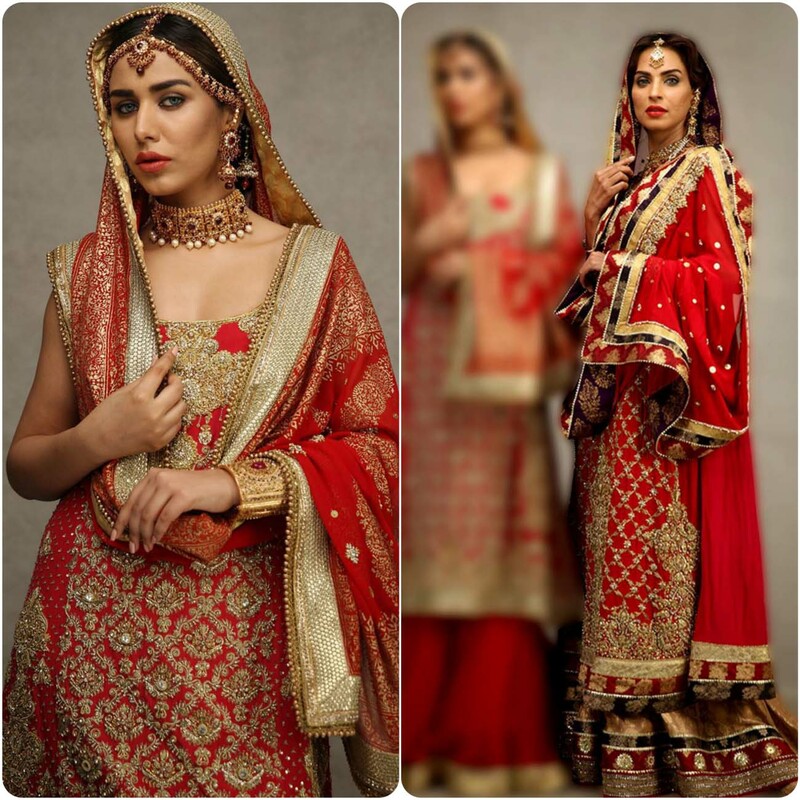 Now in the Bridal Wear Collection By Deepak Perwani 2016/2017 launched hot wearing like Crinkle stuffed, Chiffon, Georgette, fancy and embroidered dresses, anarkali umbrella style frocks, beautifully adorned maxis, bridal gowns and white silver colored lehengas paired with red kurties and much more. 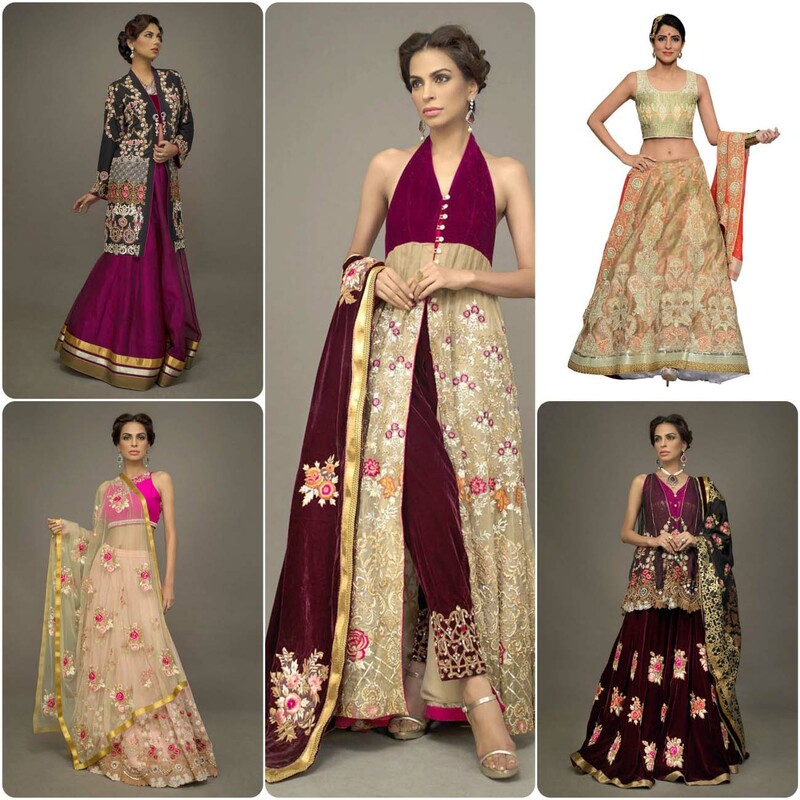 The color in this assortment used are black, yellow, green, silver, golden, orange, royal blue, peach and purple etc. 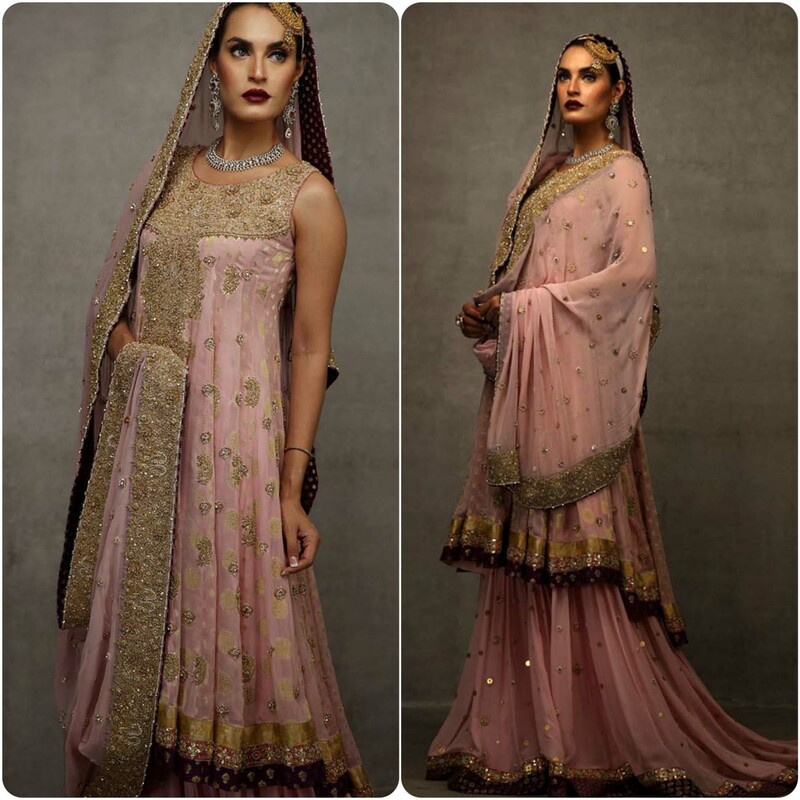 This couture is especially designed for new and modern brides who can wear on their big day according to their culture and traditions. 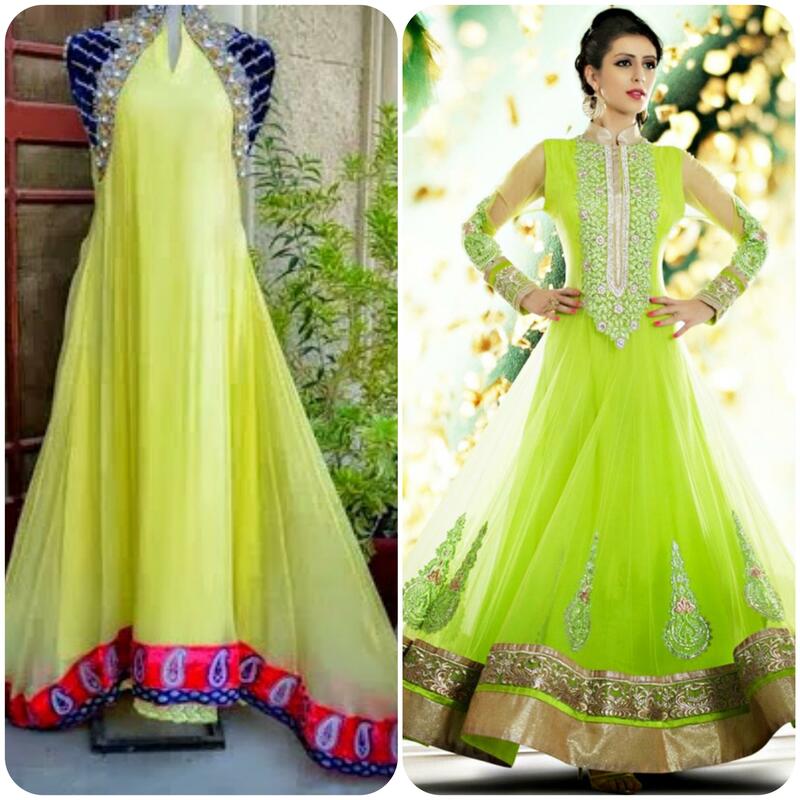 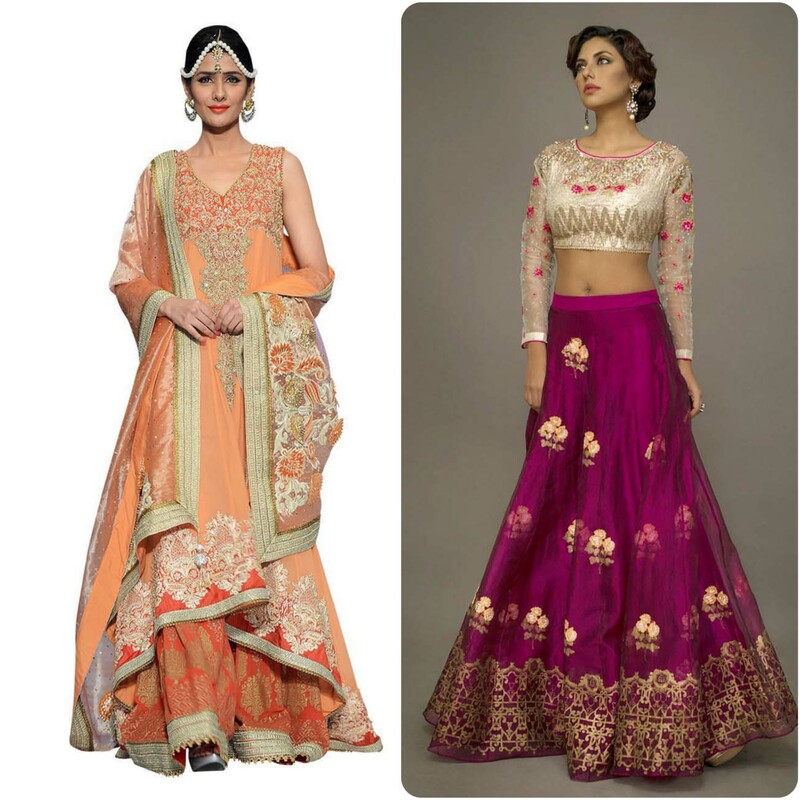 Other then bridals, young girls and women can also wear these for formal and semi-formal occasions. 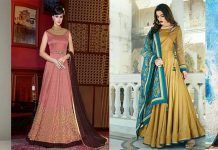 These are embellished with thread work, embroidery, gotta, tilla, zari-work and mirror work which make these dresses just amazing and gives fabulous look. 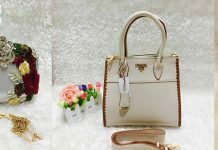 I hope you’ll like it!! 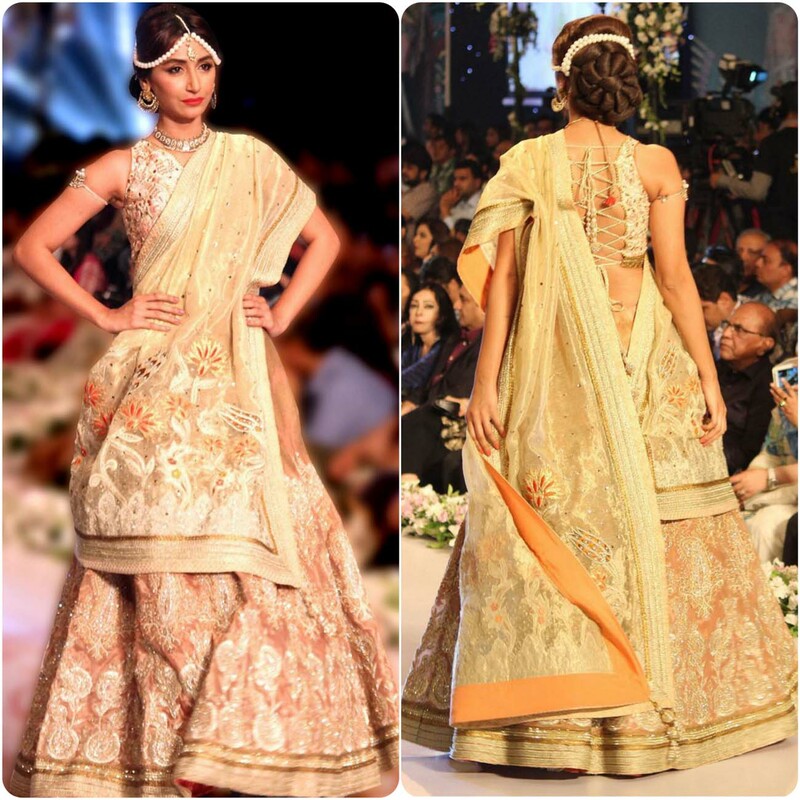 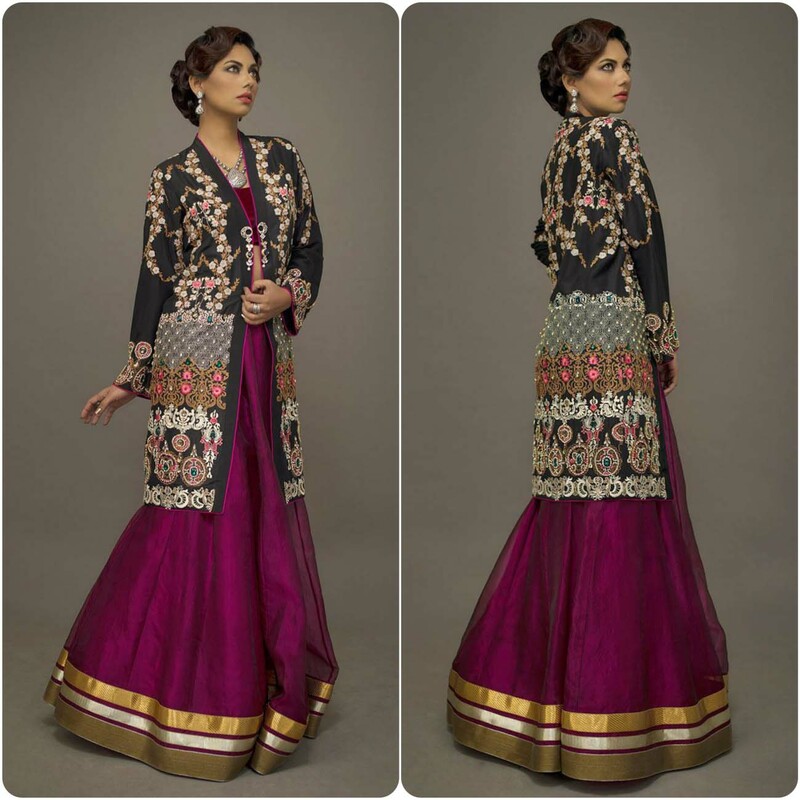 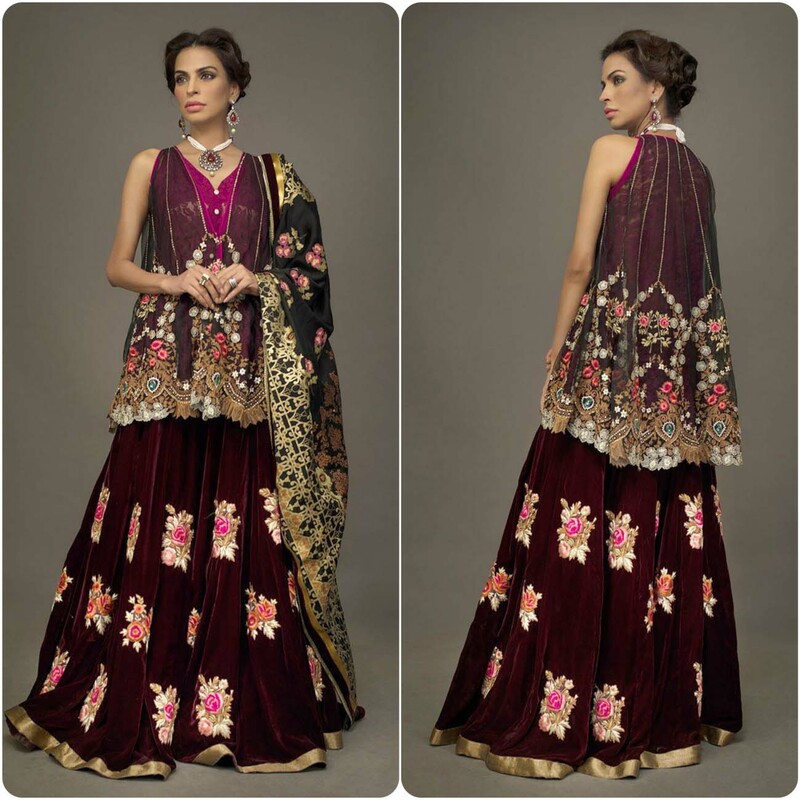 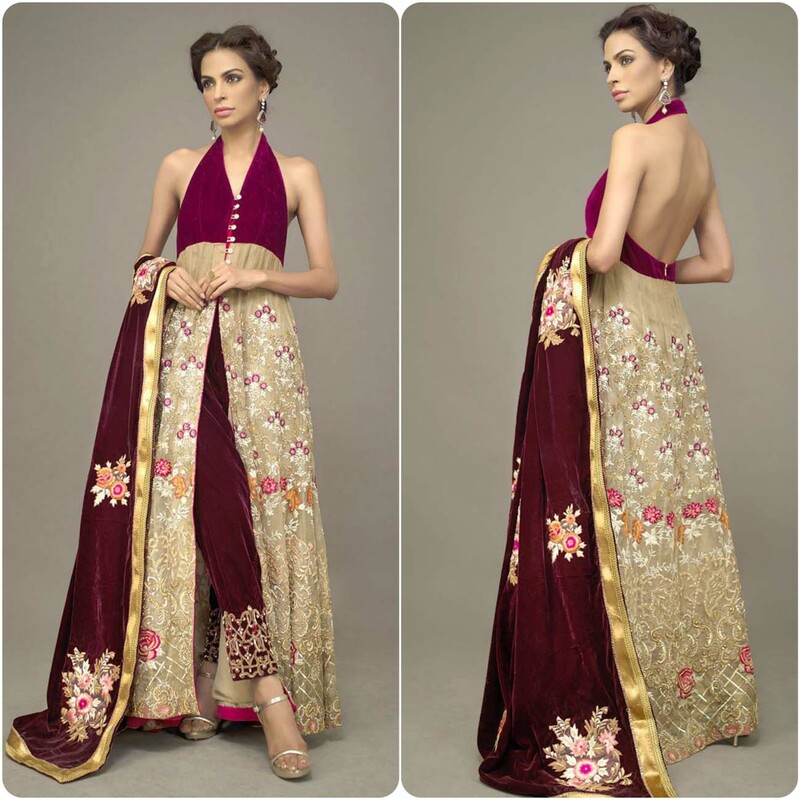 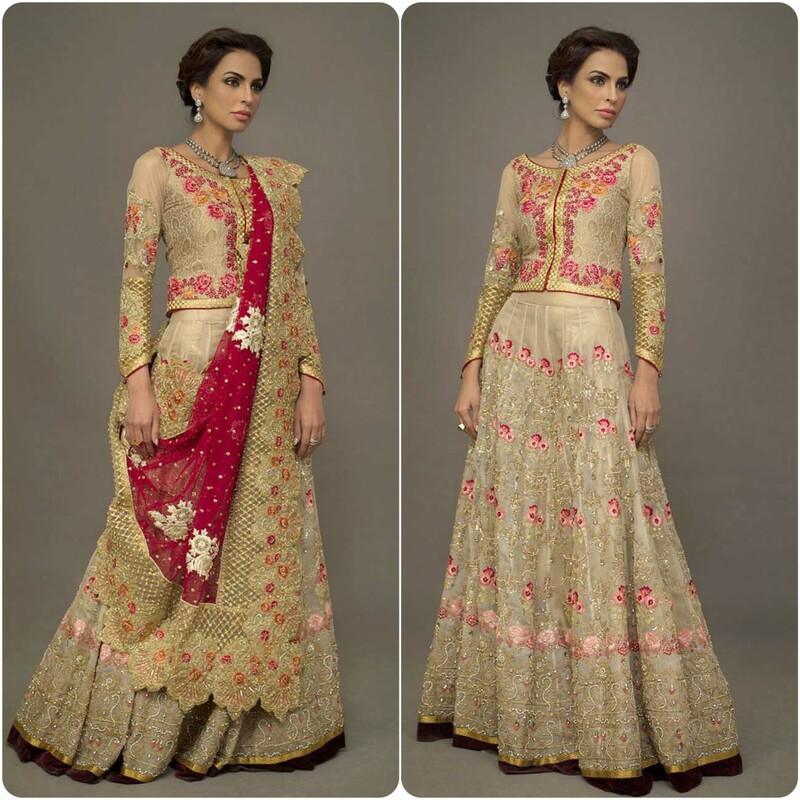 In Deepak Perwani's latest bridal collection stunning dresses with latest trends are included. 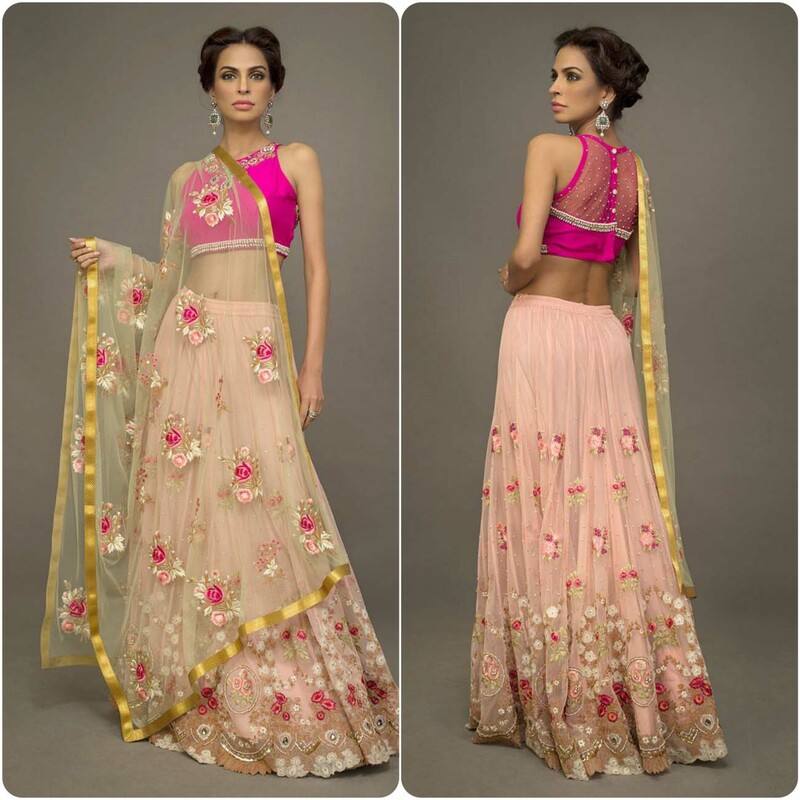 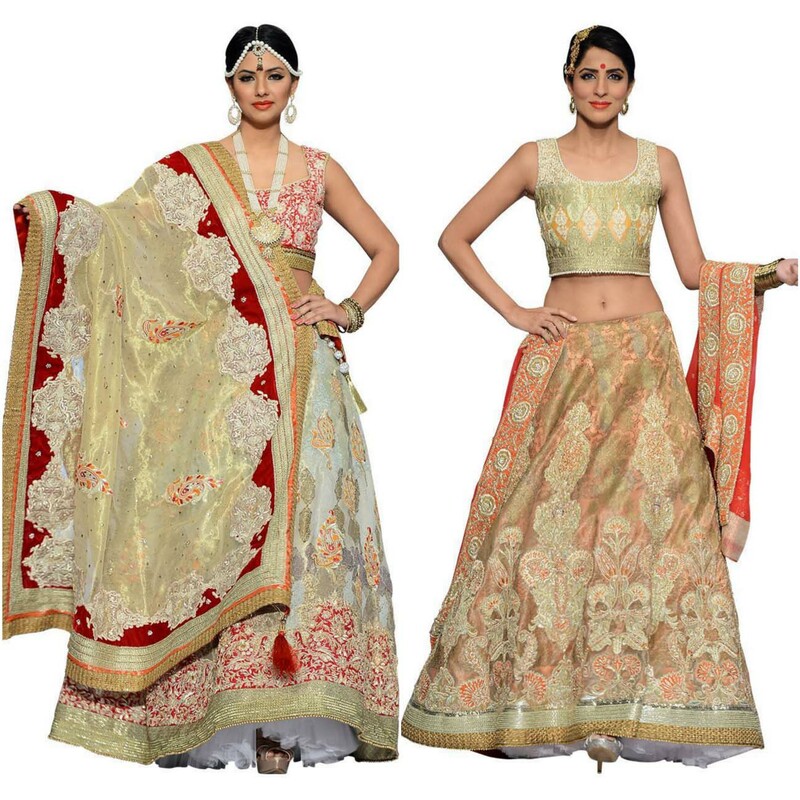 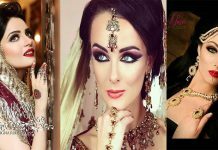 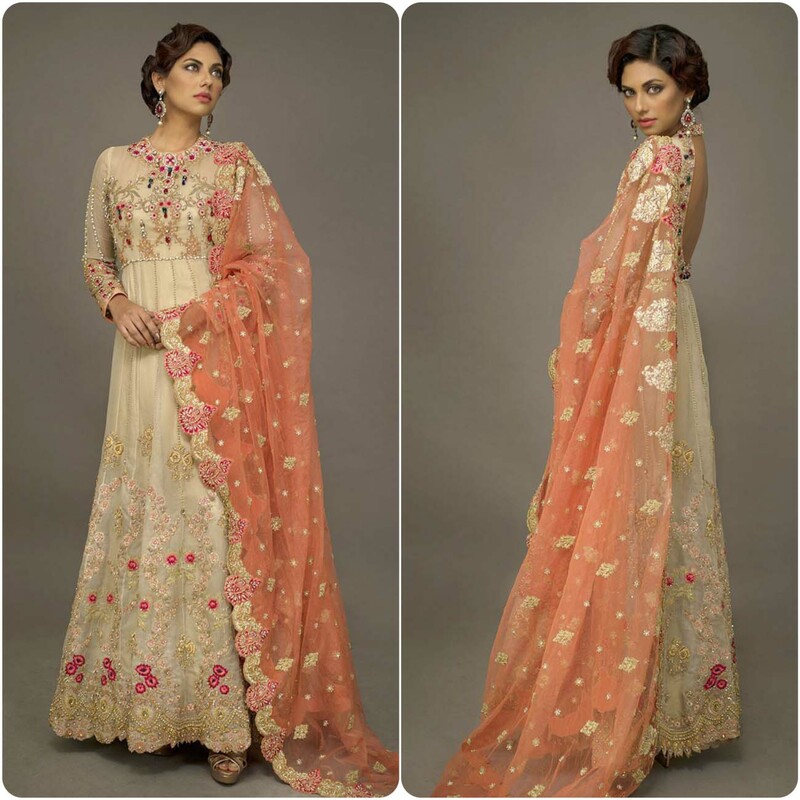 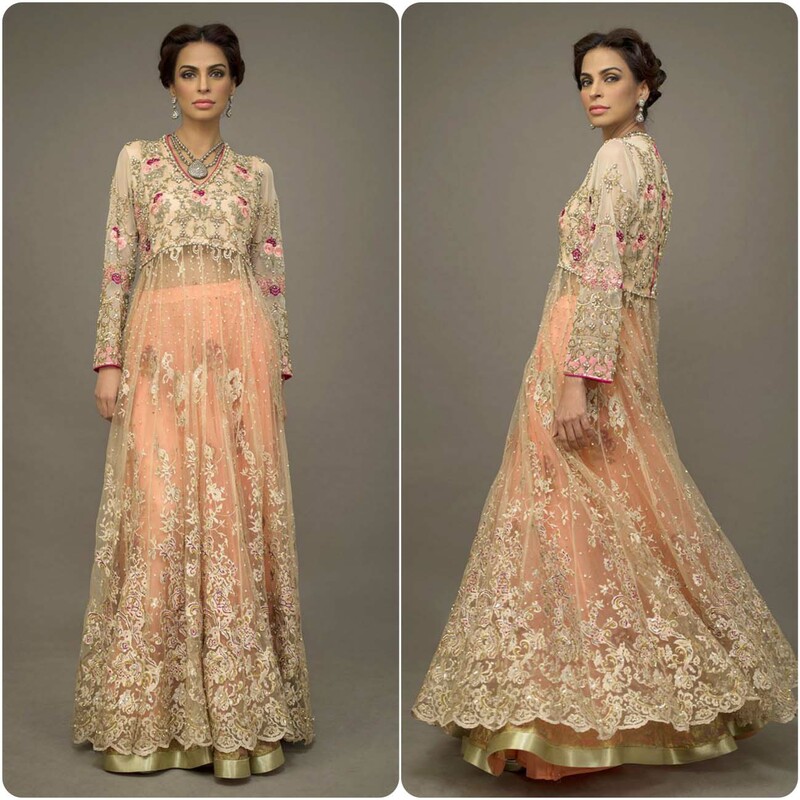 This collection gives astonishing and lavish look to a bridal.